Minneapolis Vein Center offers minimally invasive varicose vein treatment procedures including sclerotherapy, ablation, and phlebectomy. These modern varicose vein treatments utilize advanced technology and techniques that produce excellent results for most patients, while leaving behind only a tiny nick in the skin. You will need to remove clothing in the area to be treated and you may experience some discomfort after the procedure, so it’s best to wear something loose and comfortable. If you already have your compression stockings, bring them to your varicose vein treatment appointment. If not, our team will help you find just the right fit and show you tips and techniques for putting them on easily. You will need to wear the compression stockings for several days, as directed by your physician, after the procedure. If you feel especially anxious during medical procedures, please let our staff know at least 24 hours in advance of your varicose vein treatment. Your physician may choose to prescribe a mild sedative to help you feel more at ease during your procedure. Let your physician know of all medications, including any supplements, you are taking. Certain medications may cause additional bruising or side effects. Mild pain in the treated leg(s) is common and should respond well to over-the-counter medications like Advil or Aleve. You may also use ice packs to relieve discomfort. Walking is an important part of recovery because it helps improve circulation. After your varicose vein treatment, your doctor will talk with you about how much walking is right for you. For about a week after your procedure, it’s best to avoid lengthy car trips or flights to reduce the risk of a complication with blood clots. All varicose vein treatments are customized to each individual patient and are performed by one of our board certified, fellowship trained interventional radiology experts. 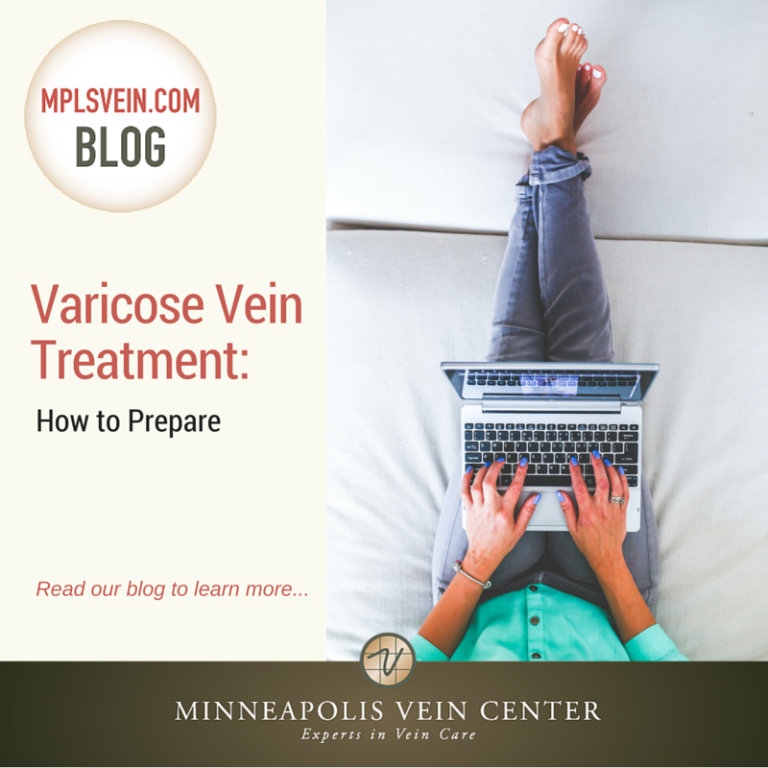 To learn more about what varicose vein treatment is right for you, schedule a vein consultation at Minneapolis Vein Center.